Davenport, Iowa. 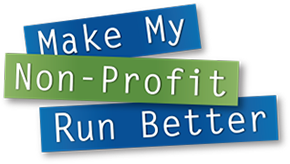 (Sept 14, 2018) – A total of 54 Quad City area non-profits, 24 in the large category and 30 in the small category, have entered the 13th annual Make My Non-Profit Run Better contest for a chance to win a portion of $60,000 in office technology prizes from RK Dixon. The first round of online voting will end on Sept. 20 at 5 p.m. The public may vote for one small non-profit and one large non-profit per day at www.rkdixon.com. The second and final round of voting will begin Sept. 28 and will narrow down the top five finalists in each category to the winning organizations. The winner of the Make My Non-Profit Run Better contest is scheduled to be announced Oct. 11. RK Dixon is partnering with WQAD 8 for this year’s Make My Non-Profit Run Better contest.